What were the main causes of the First World War? There are many reasons why Europe was on the brink of war in 1914. Militarism, the Alliance System, Imperialism and Nationalism combined to make the build up of arms in Europe inevitable. The causes of the First World War are complex. 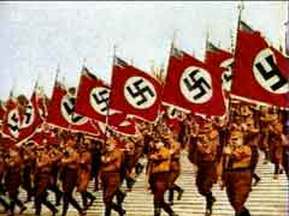 Historians have formed various views on the precise nature of the causes. Historiography of the outbreak of the Great War has seen each of the ‘Main’ areas emphasised as the primary cause by different historians over the years. This ranges from German aggression, as seen in the war guilt clauses, to explanations looking at the financial or domestic political reasons for the outbreak of war. For historiography of the causes of the Great War see this unit, aimed at A Level and above. For a broader overview of the reasons why the war broke out, see below. Our main section on the First World War can be found here. Many European countries believed that their country was more important than any other and wanted to give the impression of being strong. In order to do this they needed a ‘show of strength’ and increasing the size of the armed forces and ‘showing it off’ was one way of demonstrating this. History also plays a role here as Nationalism led leaders of different countries to use great military victories as examples of greatness. This increases national pride but also can make a nation look aggressive, leading to its neighbours considering increased military spending. Many European countries began to build up tariffs against each other from the 1880’s onwards. England was the only exception. This led to a great deal of tension between the various countries and necessitated increased expenditure on the military to safeguard trading routes. As the various European countries tried to gain colonies for themselves before the war a great deal of trouble was caused. Britain and France had clashed on occasions. Germany also created a great deal of tension, especially over Morocco. The Kaiser claimed Germany had a right to their “place in the sun”. Colonies needed protecting, both from aggressive neighbours and from people living in the colonies who wanted independence. This required increased armed forces which could be stationed either at home or in the colonies: and if expansion of an empire was intended, again increased military expenditure was required. In 1905 and 1911 Imperial Rivalry caused massive tension. In both cases the location that prompted a serious diplomatic situation was Morocco. Morocco was controlled by the French but there were a number of German firms there. In 1911 the Germans send the gun ship Panther to Morocco to ‘safeguard’ German economic interests there. This was probably designed to test the resolve of the French and the strength of the Triple Entente. If the British didn’t support France, then Germany could make audacious moves on territories they didn’t already control. The result was a statement from the British Prime Minister, David Lloyd George, gave a speech in which he said that National Honour was more precious than peace: a veiled threat that the Germans needed to act carefully or face the consequences. After a series of talks a compromise was reached which allowed German firms to continue trading in Morocco and agreements made over the control of a number of disputed areas in Africa. Two power blocs had developed in Europe before the war. The first time they really became apparent was over the 1903 annexation of Bosnia. The Alliance system required military assistance to be given in certain circumstances and ensured that the major powers would maintain large armed forces. A combination of the previous factors led to an arms race between the major powers. The British and Germans engaged in a ‘naval race’ where the Germans attempted to try and compete with the Royal Navy and the British, in turn, responded to increased German naval capability by building more, bigger and better, ships. German foreign policy before the war was uncertain and insecure. It was mainly the fault of the Kaiser. He had little idea of what was involved and more often than not made errors of judgement which were difficult to overcome. One example was an interview he gave to the Daily Telegraph. (Full version can be read here). 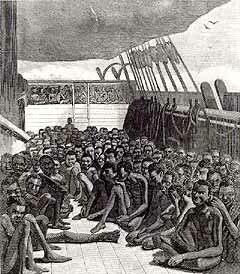 It has been argued that the series of crises before the war led to many problems. Tension increased throughout the period as the European countries became involved in incident after incident. For example the Moroccan Crises noted above. These two clashed in many different areas before the war. The most important was over the question of navies. Britain had. always, regarded herself as supreme in naval affairs In 1898 Germany began to develop her own navy under the direction of Admiral Tirpitz. they claimed that they needed a navy to protect her colonies. Germany began to spend large amounts of money and so did Britain. Eventually in 1906 Britain launched a new and far superior type of ship called a ‘Dreadnought’. This made all existing ships obsolete (out of date). Inside two years Germany was also producing its own ships of the ‘Dreadnought’ class. Attempts were made to slow down naval rivalry but were never successful. By 1914 Britain had 19 at sea and Germany had 13. The effect of naval rivalry was once again to increase the many problems facing European countries. Disarmament may have reduced tension across Europe. Each time a nation increased its spending on the military, others felt compelled to do the same. 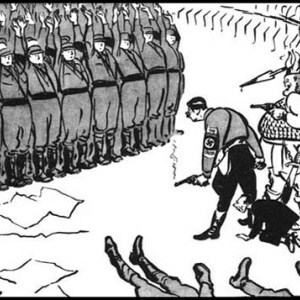 The German authorities were aware that the Russian and French militaries were spending at a level that may have seen them far in advance of the German army within a few years. This had to be countered. Military spending was also influenced by colonial wars. While this tended to be short term increases due to additional resources being needed, it led to the number of weapons and vehicles being readily available increasing. There was little done to prevent this escalating. 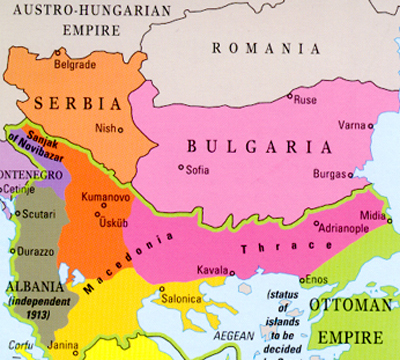 The wars in the Balkans from 1912 to 1913 created great deal of trouble for the rest of Europe. Austria-Hungary in particular became concerned at the possibility of losing influence in the Balkans. Historians have debated the causes of the first world war. Some argue that Germany was at fault. This was the prevalent belief for quite some time after the war. Since then, other historians have analysed evidence about the July Crisis and the way it triggered a wider conflict. A German historian, Fischer, used German archives to suggest that the war was calculated and deliberate on Germany’s part. More radical historical views include suggestions that the war was actually caused by domestic, home affairs in the most powerful European nations, not by foreign policies.